If you or I were to plan salvation and how to reach the world, we would have chosen a major city and person of great importance. But the Lord God, chose a town called Bethlehem and a group of uneducated men. They were nobodies and did not have great connections or anything in the natural that would justify to us their choosing. Yet, the Lord took this twelve and multiplied them. They would take the Good News of the victory of Jesus to the known world. All but one would suffer martyrdom. These fearful men on the day of the Last Supper, would after receiving the Holy Spirit become sold out, fully committed voices that dedicated and consecrated their lives to the cause of reaching everyone with the message. They heard the royal command and simply obeyed no matter the cost. Men have tried throughout history to accomplish great things and fail. Yet, these nobodies did it. How? The Lord would choose the foolish things of the world to confound the wise and demonstrate His power. They did not preach in persuasive words but in power. They truly turned the world upside down. They did not have the tools we have today. Transportation was slow and communication not easy. But they did it. The abandoned the normal life and consecrated themselves to the vision and command of heaven. They were totally committed. We see the same on so many of the early church heroes. Tertullian, who was a lawyer, after his conversion, became committed to defending the Gospel. Watch carefully what Jesus prayed and the tense He used. He stepped out of time and prayed for us. The apostles had not preached one word and not one person had received Jesus as Lord. Yet, He speaks present tense of us. You see He is not restricted by time. The enemy, the devil, is bound by time. The devil has a limited time but Jesus operates out of time. That is so amazing. Jesus has a plan which was resolved before the foundations of this earth. Who was the real Saint Patrick and what can we learn from him today? In this episode of the Cloud of Witnesses we will take a close look at a true hero of faith who dared believe God and changed a nation. He was a humble man who simply trusted the Lord and held Him to His Word. 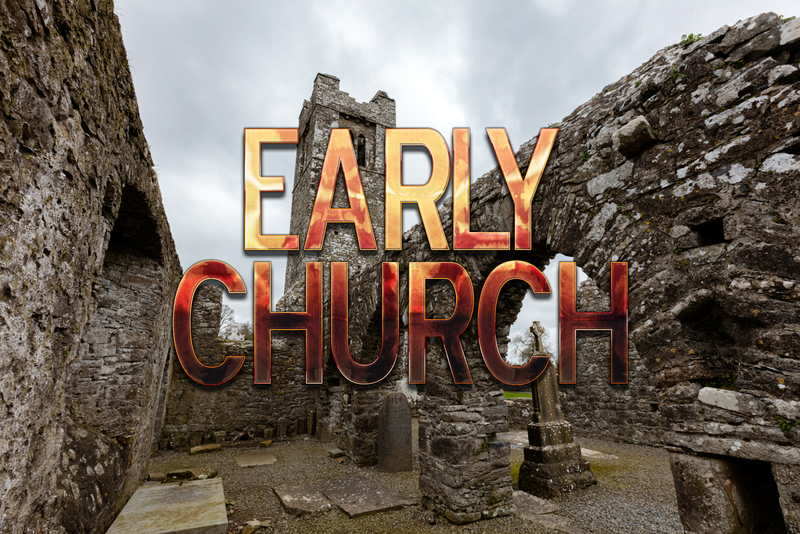 In this episode we will take you to Ireland and show you some of the key places Patrick ministered so you can understand him better. There is so much we can learn from him. For example one of the first things he did went he returned to Ireland, where he had been held as a slave for six years, was to return to his old slave master. He went to the place of his defeat and turned it into a place of victory. So often we are restrained by our past. It is time we stopped building altars and memorials to our past failures and hurts, and allow Him to bring forth a victory for us right there. So we can now build altars to Him and what He did for us so all can see. Patrick was a man who ran to the battle and dared to challenge the giants of his hour. He was not ashamed of the Gospel but had such a burden for souls he was fully committed no matter the cost to preaching the Gospel to everyone in Ireland. He was a personal witness of the power of the Gospel and how it can change and free a person. I pray this documentary will inspire and provoke you to make a bold stand and serve your generation.